We’d love your help. Let us know what’s wrong with this preview of Dragon Pearl by Yoon Ha Lee. To keep the family safe, Min’s mother insists that none of them use any fox-magic, such as Charm or shape-shifting. They must appear human at all times. Min feels hemmed in by the household rules and resents the endless chores, the cousins who crowd her, and the aunties who judge her. She would like nothing more than to escape Jinju, her neglected, dust-ridden, and impover To keep the family safe, Min’s mother insists that none of them use any fox-magic, such as Charm or shape-shifting. They must appear human at all times. Min feels hemmed in by the household rules and resents the endless chores, the cousins who crowd her, and the aunties who judge her. She would like nothing more than to escape Jinju, her neglected, dust-ridden, and impoverished planet. She’s counting the days until she can follow her older brother, Jun, into the Space Forces and see more of the Thousand Worlds. To ask other readers questions about Dragon Pearl, please sign up. I have a quick question will this book be a series or just a stand-alone book? Min is just your regular teenaged fox spirit, living with her family on the dusty backwater world of Jinju. Oh, sure, like all fox spirits, she can change shape into whatever she wants: human, fox, even a dining table. And, yes, she has the power to Charm -- to manipulate human emotions and make people see things that aren’t there. But that’s not very exciting when you’re stuck on the family farm, sleeping every night in a crowded common room with your snoring cousins, spending every day fixing condensers in the hydroponics dome. Min yearns to join the Space Forces like her older brother Jun did – to see the galaxy and have marvelous adventures! That’s not easy for fox spirits, though. When humans colonized the galaxy, they brought all the supernatural races with them: dragons, tigers, goblins, you name it. But fox spirits? They have a bad reputation as unreliable tricksters. Nobody wants them around. Even now, when humans have spread across the Thousand Worlds, there doesn’t seem to be any place for foxes. Min has to hide her true nature. There’s little chance she’ll be as lucky as her brother and escape her dull existence. Then one day, an emissary from the galactic government visits her family farm. He brings horrible news: Min’s beloved brother Jun has disappeared. Worse, he’s suspected of treason -- of abandoning his post to search for a fabled lost relic that has the power to terraform worlds: the Dragon Pearl. Min knows that Jun would never desert the Space Forces. Something must have happened to him. He needs help! Unfortunately, nobody seems interested in what Min thinks, especially after she knocks the emissary unconscious for insulting her brother’s honor. Her family decides to ship her off to the boondocks to keep her out of further trouble, but Min has other ideas. Jun needs her! She runs away from home, intent on following her brother to the stars. One young fox spirit, alone against the galaxy, will risk everything to find her brother and discover the mystery of the long-lost Dragon Pearl. Buckle up, fellow foxes. Get ready for epic space battles, magic and lasers, ghosts and dragons, interstellar pirates and warlike galactic tigers. The Thousand Worlds hold all sorts of danger, but there are also priceless magical treasures to be discovered. If Min succeeds, she might not just save her brother. She might save her entire planet. Alexa OH MY GOSH. Perfect excuse for me to read this book! I AM IN. Vera Are there actual dragons in this book? The cover of this book is sooooo cute! This was a really good middle-grade book!! Middle Grade Adventure at its BEST!!! This rollicking space opera follows 13-y.o., Min, on her quest to find out what happened to her older brother, Jun. When an investigator shows up at her house, accusing her older brother, Jun, of deserting the Space Forces, Min knows there has to be some mistake. Jun and Min had talked of joining the Forces their whole lives and going on grand adventures together. Now that he is a part of that world, Min knows he would never disgrace their family by deserting. Middle Grade Adventure at its BEST!!! When an investigator shows up at her house, accusing her older brother, Jun, of deserting the Space Forces, Min knows there has to be some mistake. Jun and Min had talked of joining the Forces their whole lives and going on grand adventures together. Now that he is a part of that world, Min knows he would never disgrace their family by deserting. Forced to flee home, with the investigator hot on her tail, Min sets out in search of the truth with the hopes of clearing her brother's name. Very quickly, Min is forced to rely on her intelligence and quick wit, as she eludes security, works in a gambling den, stows away on a ship, impersonates a Space Forces Cadet and so much more. Throughout her journey she discovers her own strength and makes some great new friends along the way. Min is a really well-rounded, enjoyable character. I grew attached to her and loved watching her development over the course of the book. The side-characters, as well, were great. Humorous and likable, they truly added to the story, particularly Sujin and Haneul. It was also great to see a non-binary side character play such an important role in a Middle Grade story. The ending was fantastic, but really it was fantastic the whole way through. Nice, fast pace, smooth transitions from different scenes and a strong build-up to the end. I think it left off in an excellent spot to continue on with the story. I am definitely hoping for more books in this world and with these characters even though I understand that may be a long shot. The bottom line is, I really had a blast (pun intended) reading this book which, to me, is what Middle Grade is all about. It should be a joy to read a Middle Grade adventure book and I was not disappointed with this one. The writing was very, very strong. I was swept up in the world and I thought the sci-fi elements were top-notch; no surprise considering the expertise and experience that Yoon Ha Lee brings to the table. Dragon Pearl is a Korean-inspired space opera following a teenage fox spirit, set in a queer-inclusive universe. I can't believe I almost didn't read it just because it was middle grade; if I hadn't loved Ninefox Gambit so much, I would have never picked it up, and that would have been such a mistake on my part. It is middle grade, that's the target audience, but Dragon Pearl is the kind of book that can be enjoyed by people of all ages. I had almost This is one of the best things I've ever read. I had almost forgotten that books could be so much fun. I read mostly upper YA and adult books, and many - though not all - are always trying to be dark and tense and serious while forgetting that without the light moments, nothing in them feels meaningful. That's not to say that this book is all sunshine and happiness, because it's not, but it understands balance and doesn't throw unnecessary violence at you. It's the kind of book about an adventure that you just can't put down - it follows a young shapeshifting fox who is constantly trying to trick people, and I loved every moment of it. I would have loved this when I was twelve and I think I would love this again if I reread it in a few years. There are books I loved because I read them at the right time in my life, but this is the kind of book I would have loved no matter what. Let's talk about our trickster fox, Min. She's the kind of character I would have wanted to be at twelve, and now I both admire her a lot and want to hug her. She's just trying to find her lost, maybe-traitorous older brother back, and to do so, she'll get in increasingly dangerous situations, with the help of her charm and her ability to shapeshift. This is also the kind of book I needed but didn't have when I was twelve. 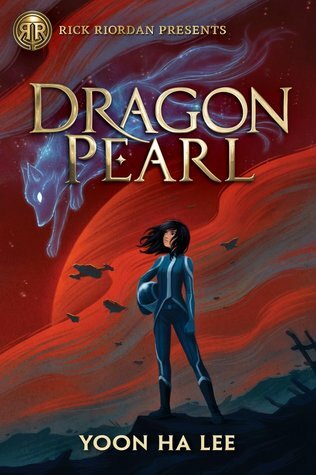 A middle grade book that not only has queer characters in it, its world is full of them: in Dragon Pearl, being non-binary is normal and people casually mention their polyamorous family. Also, foxes can choose what gender to present as in their human form, and Min says that she chose to be a girl... because of tradition. I love reading about societies whose views towards gender are different from the western human default. As I expected, I loved the writing. If you're familiar with Ninefox Gambit and you're worried it will get as complicated as that (I love complicated! But not everyone does), this is much more accessible and the worldbuilding is still wonderful and complex. It's a story set in space which has exactly what I love about Lee's worlds: technology, magic and the characters' beliefs are linked, the lines between them always blurred. You get something that feels a bit like science, a bit like religion, a bit like magic, and yet different from all of them. I never struggled to understand how things looked like. And from dangerous gambling parlors to spaceships and halfway-terraformed, dusty planets, everything about this book was beautiful. I also really liked reading about the side characters - Jang, the ghost of the cadet Min is impersonating at some point, her friends, the female dragon Haneul and the non-binary dokkaebi Suijin, and even Min's own brother Jun, when I got to meet him. This is officially the first time I liked the "main character goes on an adventure to rescue sibling" trope, because I actually ended up caring about said sibling. He was an amazing fox too. I read this specifically because it was penned by Yoon Ha Lee. I'm a completionist that way. BUT, I'll be honest, I am not particularly fond of most YA. It tends to be cookie-cutter plots and characters that feel like dough. It's fine if you like fat and sweet things that aren't that good for you but still make you feel warm and fuzzy afterward. And sometimes not even that... sometimes there is just the gnawing guilt and the shame. Not here, though! I really enjoyed it. Yoon Ha Lee proves he can w I read this specifically because it was penned by Yoon Ha Lee. I'm a completionist that way. Ghosts, more ghosts, spaceship captains with wonky motives, stowaways, impersonations, and the overriding desire to find her poor maligned brother drives this novel, and nicely so. It's a great little adventure. The lasting prejudice against us annoyed me. 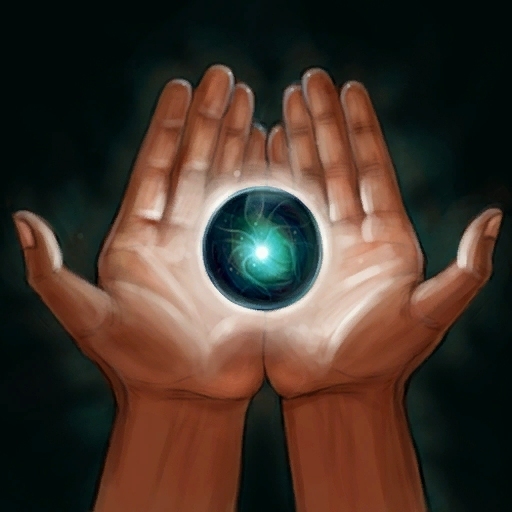 Other supernaturals, like dragons and goblins and shamans, could wield their magic openly, and were even praised for it. Dragons used their weather magic for agriculture and the time-consuming work of terraforming planets. Goblins, with their invisibility caps, could act as secret agents; their ability to summon food with their magical wands came in handy, too. Shamans were essential for communicating with the ancestors and spirits, of course. We foxes, though - we had never overcome our bed reputation. At least most people thought we were extinct nowadays. Well, this didn’t go as expected. 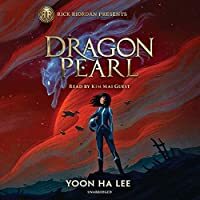 Dragon Pearl was my most anticipated Rick Riordan Presents book because it's a space opera with Korean mythology elements. However, I didn't enjoy this as much as I wanted to. I was hesitant to round my rating to 3 stars because I feel I didn't quite like it at that level, but 2 stars was too low of a rating for it. I listened to the audiobook and I'm sure I would have dnfed this if it wasn't for the narrator. It wasn't the best audiobook by any means but listening to it was soothing in a way. I entered this book with so many expectations -why do I keep doing this to myself?- and, oh so hype, the premise seemed really cool and, well, it didn't help up. I kept falling asleep every time I read more than a couple of pages. I'm not even kidding, it was Every. Single. Time. I think I ended reading it more asleep than awake at the end. It's probably just the fact that I had so many expectations, one of them being that the story was gonna start in space, and when it did not it became slow and boring. I had understood that the whole thing would take place in space from the very beginning, but it didn't. We start in Jinju and had to see the journey to actually get to space, which dragged more than I would have liked. I was pointed, though, that the fact that it took a while to get to space is probably very realistic, all things considered. Then there's also the fact that I had already some little knowledge of fox's spirits and all that. I know, I know, everyone understands them differently and represents them differently and all that, and I liked the way Lee represented them, but it just somewhat clashed with the idea and concept I already had, which didn't help matters. "Ghosts were people, too, after all- they just happened to be people who hadn’t yet fully crossed over to the realm of the dead." Don't get me wrong, not all was bad. I think that character growth was some very fine work. Min matures and learns more about who she really is and what that means and how to balance that with the rules she's supposed to live with. She started annoying me so much and ended getting a little of respect out of me. There weren't many other characters to grow to. I honestly don't think any other character change during the length of the book. The ensemble of supportive characters completed their purposes but did little more. Then there's also the fact that the plot twists were obvious and easy to see. I don't think I was surprised by any of the events that transpired throughout the book. Were they supposed to be that easy to guess? I supposed the pacing was fine. We didn't get stuck in one place too long and we were always finding something new. Though I must admit that for me the first 30% of the book or so was extremely slow and pointless. Even though it probably wasn't. "None of it had changed, and everything had changed." I think that the biggest problem I had with this book was that it didn't click with me. The story is good as are the characters, but I couldn't connect with it as much as I wanted to and the writing the style didn't help me to get more involved with the book. It just wasn't a book for me. Or, well, the author was not the right fit for me, because I do think the book is better than what I felt it. This was... not what I had been waiting. A bit of a let down to be honest. I've been really excited to read this one thanks to that wonderfully beautiful cover. Yes, the cover influenced me a lot, but the premise is really interesting as well. Space opera based on KOREAN mythology. My people! Someone hold me. My first book by this author and I was confused why he'd need a "Rick Riordan presents" on the cover. I still don't know. But Rick Riordan has character art and more insight on his website so maybe he's writing in the universe of the thousand worlds? as she is told that her older brother has deserted the military. To clear his name and possibly save him, she embarks on a journey all alone. Apparently, it all has to do with the mythical Dragon Pearl that can supposedly ter My first book by this author and I was confused why he'd need a "Rick Riordan presents" on the cover. I still don't know. But Rick Riordan has character art and more insight on his website so maybe he's writing in the universe of the thousand worlds? as she is told that her older brother has deserted the military. To clear his name and possibly save him, she embarks on a journey all alone. Apparently, it all has to do with the mythical Dragon Pearl that can supposedly terraform an entire planet within only a few hours (or destroy it). Naturally, since the rumours of the pearl have spread, several groups of people are on the hunt for it, making Min's quest all the more dangerous. As if a cursed planet full of ghosts wasn't dangerous enough already. I should mention that this isn't just a scifi story about humanity being scattered amongst a thousand worlds. No, there are many other species here, such as magic-wielding goblins (including invisibility caps and wands), dragons (capable of weather control/manipulation), ghosts, and shapeshifters. And yes, Min is one such magic creature. In fact, she is a fox spirit who can change into all kinds of things and "charm" people to influence their feelings and (to some extent) thoughts. Ancient artifacts, intrigues, gambling parlors, spaceships, a blend of Asian folklore and science fiction. But there is also prejudice and discrimination, the annoyance of a big family and chores, friendship and inevitable betrayal. Even gender issues, but so subtly realized, it was barely noticeable, perfectly normal, as it should be (and yet addressed to show how to handle the issue of how one wishes to be called correctly). Thus, quite a lot was packed into this story that was definitely written for younger readers. But while it is clear that the story was written for children and young teens (younger than the typical YA crowd), it is still very well written, the adventure sweeps you along and you simply have a good time. What more can one ask of a book? To keep the family safe, 13 year old Min’s mother insists that none of them use any fox-magic, such as Charm or shape-shifting. They must appear human at all times. Min feels hemmed in and resents the endless chores, the cousins who crowd her, and the aunties who judge her. She would like nothing more than to escape Jinju, her neglected, dust-ridden, and impoverished planet. When word arrives that Jun is suspected of leaving his post to go in search of the Dragon Pearl, Min knows that something is wrong. Jun would never desert his battle cruiser, even for a mystical object rumored to have tremendous power. She decides to run away to find him and clear his name. That said I didn't quite enjoy the book as much as Rick Riordan explains he did in his introduction in the book (and on goodreads). Yes, it has a monster amount of adventure woven through out and Min sure is a plucky heroine that makes you want to root for her, even when she's lying. It's just everything happened so easily... There was only one moment in all the book where I thought "oh no, she's not going to get away with her shenanigans this time! "This is a middle grade book though. Reality isn't the point here, having a fun adventure is and Yoon Ha Lee does take us on a wild ride with all sorts of magical and sci-fi goodies to ooh and aww over! I really do like the cover of Dragon Pearl... 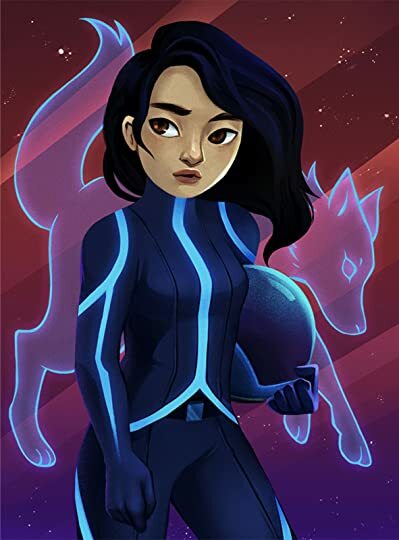 I like that her fox spirit is embodied on the cover as a clue as to what the book is about... And you can certainly tell that its about space. It doesn't really give you the sense of adventure that is in the book though which feels to me like a missed opportunity. This is especially so since this is a middle grade book and not a young adult novel as the cover gives the sense that the protagonist is a lot older than she is. Why did I enjoy Dragon Pearl even though it's certainly a middle grade book? The fox magic is really neat, not only can Min shape shift but she can use charm. She doesn't use it often at home so its not until she's out and about that she really understands all she can do charming others. But don't worry she gets it quickly. -The Goblin and The Dragon + The Tiger! The foxes have the worst reputation, but the best thing is that they are in like company! The other races all have their own qualities and we get to meet the other three supernatural beings up close and personal. The friendship Min finds is really quite realistic too. Min is who Min is partially due to her relationship with Jun. She wants to see other worlds because jun inspired her to want to join him. They spent a lot of time star gazing and bonding over these dreams and ambitions. This was quite a powerful relationship with an ending to match! Ghosts are a HUGE deal in Korean mythology and Min gets to meet one... This was really a fun part of the story because its so unexpected... It certainly was a strength in Dragon Pearl. The ghost makes the entire middle of the story super fun. -Space Ship + Space Military! I really loved how mechanically inclined Min was and how it came up in the story as she served in the Space Forces. Really the entire story on the ship was quite fun as she delves into the mystery of why her brother went missing. Min is a character that I had to learn to love. She is quite flawed in the beginning, acting impetuously (and rather stupidly) making assumptions without listening to the facts. That maybe could be fine, but she was quite the liar lying whenever it suited her. Even as an adult I started to get really fed up with it plus added to that she burned bridges so fast! Really she set herself up ad never being able to go home and not thinking about that fact. It was all such a contrived beginning that I really worried at first. Once we left Min's planet Dragon Pearl really took off and became a fun adventure. While I'm not sure about her example to her young readers as NOTHING she did had any sort of consequences I'm positive those same kids will excitedly follow Min on her journey. Dragon Pearl is a grand adventure, perfect for middle grade readers who crave a story that a young adult could love. Told with Korean Mythology in the background we get a wonderful cultural experience that widens readers horizons. Rick Riordan has added another fun read to his bookshelf for kids! I liked this fast-paced story a lot. When Kim Min, young fox spirit, hears that her older brother is suspected of deserting from his Space Forces post in a quest to find the Dragon Pearl, she accidentally knocks the Investigator who brought the news unconscious and decides she has to find her brother. (Now, if I'd just done that to someone, I don't think I'd be thinking of leaving the planet, but it's a great start to this story.) Min, after tricking her way onto a ship and getting injured in a I liked this fast-paced story a lot. When Kim Min, young fox spirit, hears that her older brother is suspected of deserting from his Space Forces post in a quest to find the Dragon Pearl, she accidentally knocks the Investigator who brought the news unconscious and decides she has to find her brother. (Now, if I'd just done that to someone, I don't think I'd be thinking of leaving the planet, but it's a great start to this story.) Min, after tricking her way onto a ship and getting injured in a space battle, ends up masquerading as a cadet on her brother's former ship. Though Min is two years younger than the other cadets, she immerses herself in the rules and regulations to minimize bringing attention to herself so she can snoop for news about her brother and the Dragon Pearl, a hotly sought-after artifact that can terraform planets. The story follows a young fox spirit named Min who is biding her time until she can join the Space Forces like Ahoy there me mateys! I have been meaning to read more of this author’s work ever since I read the odd but interesting short story called the starship and the temple cat. It can be found for free at the beneath ceasless skies website by clicking here. I do own the first book in his machineries of the empire series but haven’t yet read it. I decided to tackle this young adult title first. This is my first Rick Riordan presents novel, and I must admit that I am disappointed. The idea of RR presents is a good one. It's very admirable that RR is using his fame to help other authors share stories that involve their various cultural backgrounds but quality-wise this book was nothing like a RR book. I didn't expect this to be like one of his books, but I did expect it to be GOOD which it was not. Both the ending and the beginning are stupid and the middle is boring. All the characters This is my first Rick Riordan presents novel, and I must admit that I am disappointed. The idea of RR presents is a good one. It's very admirable that RR is using his fame to help other authors share stories that involve their various cultural backgrounds but quality-wise this book was nothing like a RR book. I didn't expect this to be like one of his books, but I did expect it to be GOOD which it was not. Both the ending and the beginning are stupid and the middle is boring. All the characters are very flat and underdeveloped. I know this is a MG novel, I know this is a standalone, but that is no excuse. I didn't entirely hate it, in fact there were times when I enjoyed it, but it's really not worth a read in my opinion. My favorite aspect was probably the Korean mythology and culture integrated into the storyline. I don't really know much about this culture's mythology so that was very fascinating. I hope to read more books that feature those elements one day, but hopefully they will be better written, better paced, better plotted books. Also I don't know how I feel about the inclusion of a nonbinary character (two in fact). My thoughts on non binaries are complicated and unpopular so I won't give my reasons for this criticism. But again if non binary rep is something you are looking for then maybe this book might be for you. I guess I'll rate Dragon Pearl around 2.5 stars, as it was not completely horrible. I thought this was such a delightful and fun space adventure. Can't wait to read Lee's adult SFF books now. - Follows Min, a young teen who lives in the poorer fringes of the galaxy and is a fox spirit! She runs away from home to try and find her brother, who has been accused of being a deserter. - It's a wonderful adventure where Min meets gamblers, dragons and dokkaebi and tigers that take human form, and eventually finds her way to a battle cruiser where her brother was stationed. - The story was great and I really liked the science-fiction/futurism elements. It's also a story about friendship, trust, and using immense power for good. A super fun and adventure filled book that any middle grade (and older) person will enjoy. I was honestly so happy when I heard about this book and my heart was literally jumping out of me because ASIAN REP IN MIDDLE GRADE, I'M LIVIN!! Also, the plotting, the character development, the writing and everything was honestly phenomenal. 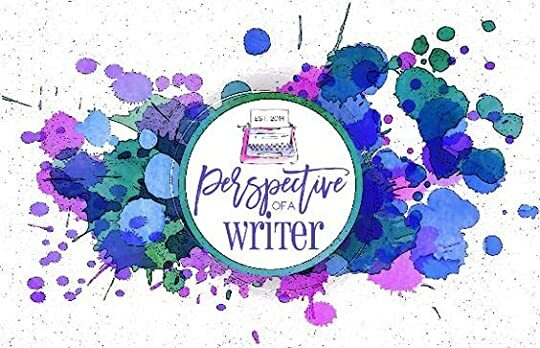 It taught important lessons, and like all books from the RRP series - with great humor that made me reminisce my younger years of reading uncle Rick's books. **An ar A super fun and adventure filled book that any middle grade (and older) person will enjoy. I was honestly so happy when I heard about this book and my heart was literally jumping out of me because ASIAN REP IN MIDDLE GRADE, I'M LIVIN!! Also, the plotting, the character development, the writing and everything was honestly phenomenal. It taught important lessons, and like all books from the RRP series - with great humor that made me reminisce my younger years of reading uncle Rick's books. **An arc of this book was sent to me by Disney Books/Rick Riordan Presents. "Space opera based on Korean mythology." This is the first time that I read a Korean mythology. Though the book was not up-to what I expected, I'm not totally unsatisfied. To be honest, the only reason that I selected this book because it said "Rick riordon presents". Finally, a book based on KOREAN mythology!! I think I’ve been waiting forever for a book like this!!!!! A feisty gumiho (fox girl). A plot that does not let up. I was delighted and entertained by this incredibly original and complex world and the action-heavy plot. Occasionally I was like, "just let the girl take a nap or something!" because of the non-stop pace, but Min's relentless temerity and cleverness always saw her through every situation. Of course, her wit and cleverness is what you would expect of a fox. I loved the magic system and t Korean mythology. I loved the magic system and the coexistence of supernaturals and humans together, along with the presence of ghosts and how everything was intermingled with Korean culture and legend—and it was pure space opera style science fiction, complete with LGBTQIA+ representation (emphasis on the plus! nonbinary/agender rep!! polyam rep!) and military science fiction that made sense. While at times I felt this verged into more YA territory, I went away with the feeling that this was an upper MG novel that would be a solid bridge for MG readers looking to dip their toes into YA waters. If I could, I would give this three and a half stars, however, rounding up to 4 stars doesn't sit well with me, so, I guess I have to settle with a 3. I did enjoy this book. I mean - its a quick and easy read and I was entertained the whole way through but I didn't really connect with any of the characters all that well. There just wasn't enough there for me to latch onto. It's a stand-alone story, which is nice, but I'm not sure if I would have picked up 'the next book' had it been a series. The "Rick Riordan presents" imprint focuses on writers of different cultural backgrounds doing for their traditions what Riordan did for the Greek myths. In this one Yoon Ha Lee explores his Korean traditions with a space opera setting (The Thousand Worlds) that includes dragons, goblins, tiger and fox spirits and ghosts and starships that rely on things like good fortune and gi flows. Kim Min is a 13-year old fox spirit living on a poor badly-terraformed colony world with her family. Fox spirits The "Rick Riordan presents" imprint focuses on writers of different cultural backgrounds doing for their traditions what Riordan did for the Greek myths. In this one Yoon Ha Lee explores his Korean traditions with a space opera setting (The Thousand Worlds) that includes dragons, goblins, tiger and fox spirits and ghosts and starships that rely on things like good fortune and gi flows. Kim Min is a 13-year old fox spirit living on a poor badly-terraformed colony world with her family. Fox spirits can change shape into anyone and anything and they have the power to cloud the mind, but they're also thought to be largely extinct. One day an investigator comes to the Kim home with the news that Min's brother Jun has deserted from the Space Forces, apparently in an attempt to recover the lost Dragon Pearl, a magical jewel that can terraform whole planets. When the investigator aggressively focuses on Min, Min escapes him and sets off in search of both her brother and the Dragon Pearl. This is lots of fun with an extremely matter-of-fact acceptance of the reality of all the Korean mythological elements to the level of them being necessary for the technology of these worlds to function. There's also an interesting permeation of gender theory appropriate to the middle grade reading level audience its aimed at. That includes that fox spirits get to choose their preferred gender, that some people prefer to be non-gender specific and that people can have multiple spouses of any gender. It's not heavy-handed, but its throughout the book, and provides an excellent model for how this stuff is actually quite easy to communicate to a younger audience.